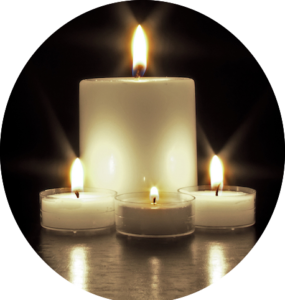 Advent is a liturgical season of prayer, anticipation, hope and joy leading to the birth of Christ. This Advent season we invite you to join in prayer and reflection on how can we care for the Earth our common home; empower our youth to serve; resolve the plight of migrants and refugees; and protect the gift of human life. We are pleased to offer 1-page weekly reflections on these issues to share with your congregation, communities and use in your own personal prayer time. Reflections will be available in English and Spanish. A big thank you to our Missionary Oblates and JPIC Committee members for developing the resources. A SPECIAL thank you to Bro. Lester Antonio Zapata, OMI, for providing Spanish translation. Click link to download Advent Week 1: Called to Care for Creation contributed by: Sr. Maxine Pohlman, SSND, Director, Oblate Ecological Initiative. 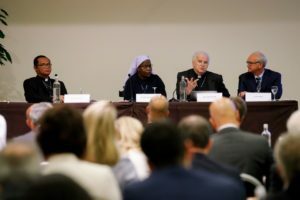 From July 8-10, 2018 the Vatican Dicastery for Promoting Integral Human Development (IHD) and Catholic Relief Services (CRS) co-hosted the third conference on impact investing with the theme, Scaling Investment in Service of Integral Human Development. Information about the conference can be found by clicking here. 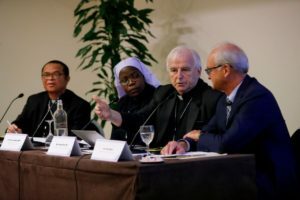 Held in Rome, the event drew experts and Catholic leaders from around the world, including Frs. Séamus Finn, OMI and Rufus Whitley, OMI. Fr. 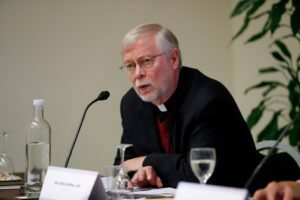 Séamus spoke on the panel Advances within the Catholic Church and Fr. Rufus participated in discussions on Deploying Capital for Impact at the Base of the Pyramid. Other panels addressed issues like climate change, health, migrants, refugees, and youth unemployment and how impact investment can improve conditions for people affected. The conference was billed as a ‘results-oriented’ event and a long-term global commitment. 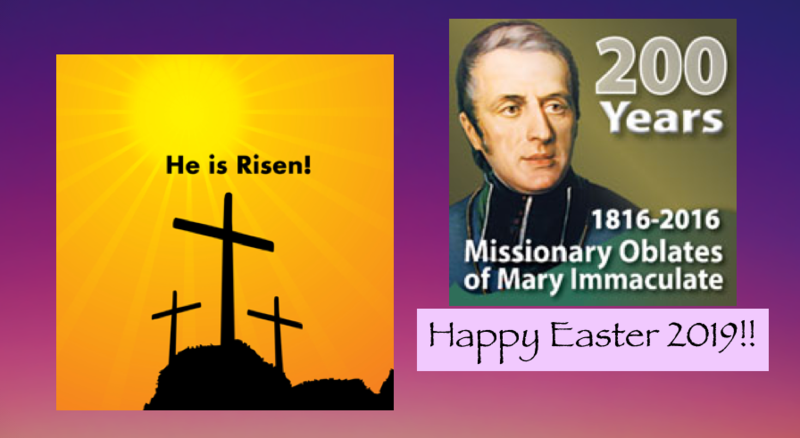 May you and your family be blessed as we celebrate the true meaning of Easter. A Question of Values is a 15-minute video produced by Swanson Film – Peter Swanson on the 45+ year history of the Interfaith Center on Corporate Responsibility (ICCR). It tells the compelling story of ICCR and how the organization inspired an investment philosophy that has changed corporate behavior. Throughout history there have been calls to inject moral values into investment strategies, but never has it been done in a more organized and impactful way as is being done by ICCR. From its roots in the anti-apartheid movement to currently representing over 100 billion dollars in assets the organization has pioneered the principles of shareholder engagement. A bipartisan bill entitled the Dream Act of 2019 (S. 874) was introduced in the Senate on March 26, 2019. If passed, the Dream Act of 2019 would provide some Deferred Action for Childhood Arrivals (DACA) recipients and other Dreamers a path to earn lawful permanent residence and a pathway to citizenship in the only country they have ever known since childhood. Additionally, on March 12, the American Dream and Promise Act of 2019 (H.R. 6) was introduced in the House of Representatives and has more than 200 co-sponsors. The American Dream and Promise Act would provide qualified DACA recipients protection from deportation and an earned pathway to citizenship. American Dream and Promise Act would also provide lawful permanent resident status for eligible individuals from countries designated for Temporary Protected Status (TPS) and Deferred Enforced Departure (DED). Many religious leaders and organizations have endorsed the Dream and Promise Act of 2019 and the American Dream and Promise Act of 2019. They are urging concerned citizens to pray and advocate on the issue and are calling on elected leaders to muster up the moral courage to pass the bills. His Holiness Pope Francis continues to call for a change of attitude towards migrants and refugees fleeing violence and famine. He also cautions against creating barriers or inciting ‘fear of other’. 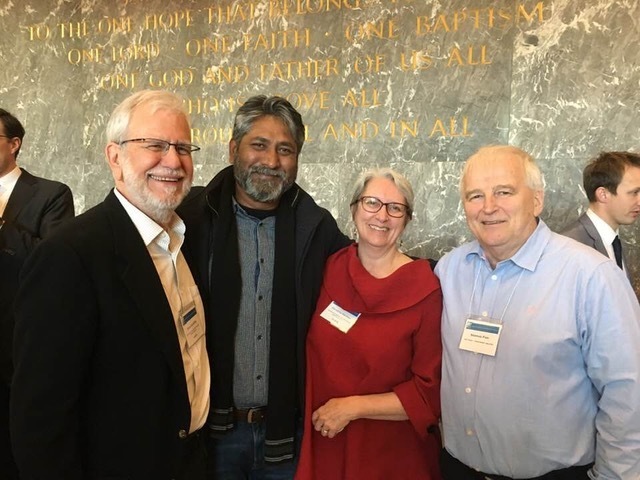 Interfaith Center on Corporate Responsibility’s 2019 Spring Conference is well underway this week and posing for a group photo are ( L to R): Rev. David Schilling, Mr. Sharif Jamil, Ms. Christina Herman & Rev. Seamus Finn, OMI. 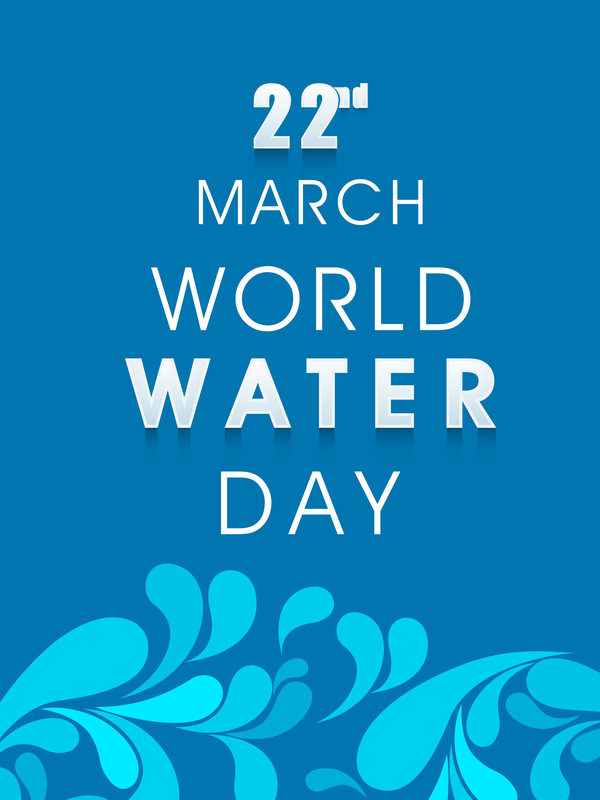 Every year, the United Nations celebrate the World Water Day on March 22nd. Many institutions and organizations from different countries celebrate this event, in order to give more visibility to the many, complex, and often worrying water issues. This year, the Dicastery for Promoting Integral Human Development has decided through this Communiqué to support the celebrations that are taking place, since the theme chosen by the UN for March 22nd, 2019 is very meaningful and symbolic: “Leaving no one behind”. We welcome with gratitude the Message that the Holy Father has addressed to the FAO for this Day, and would like to invite the Bishops’ Conferences and institutions addressing water issues to contribute to its dissemination. Read the full press release and and Pope Francis’ message at this link. We are excited to share with you the 2019 Winter/Spring issue of the Missionary Oblates JPIC Report. 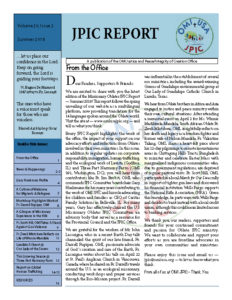 JPIC Report is the twice-yearly newsletter of the US Oblates JPIC Office.